Are you traditional, modern, or quirky? 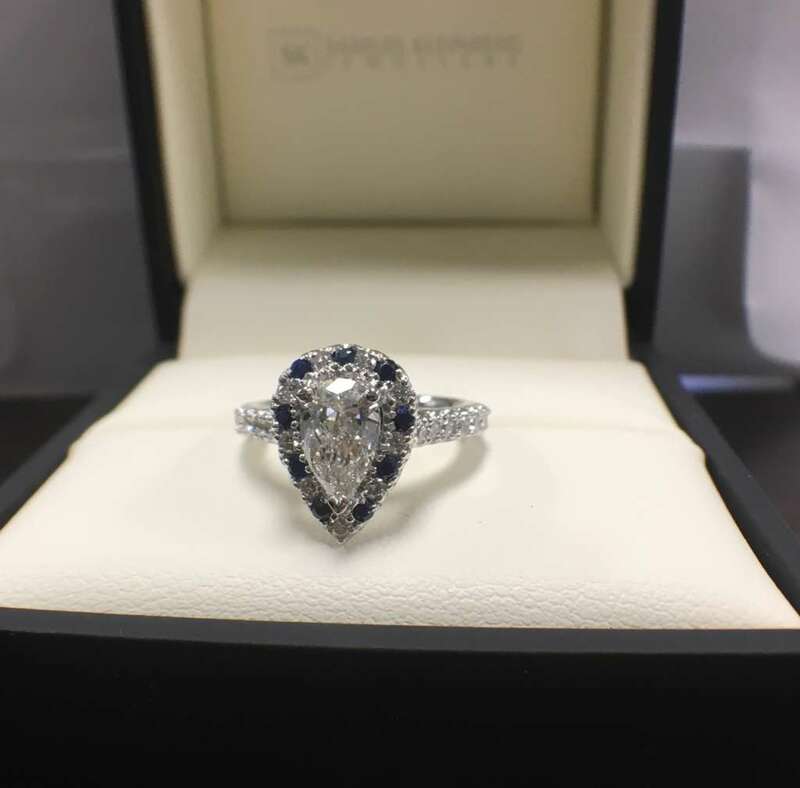 When it comes to engagement ring trends for 2018, it really doesn’t matter what your style is, you’ll find something to love. 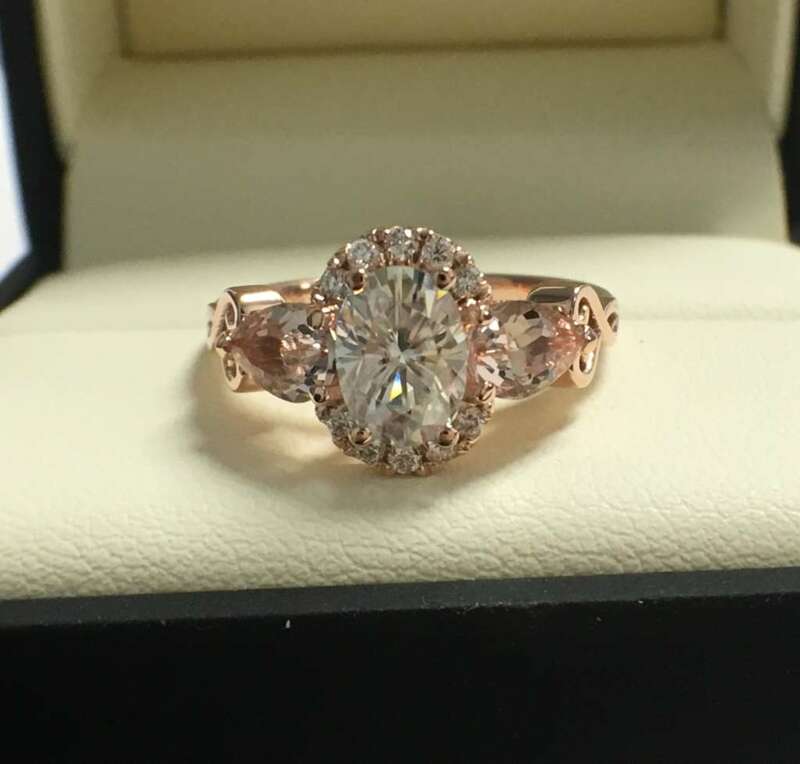 Rose gold is still gaining in popularity and we’re likely to see more and more engagement rings in this warm, pink metal this year. 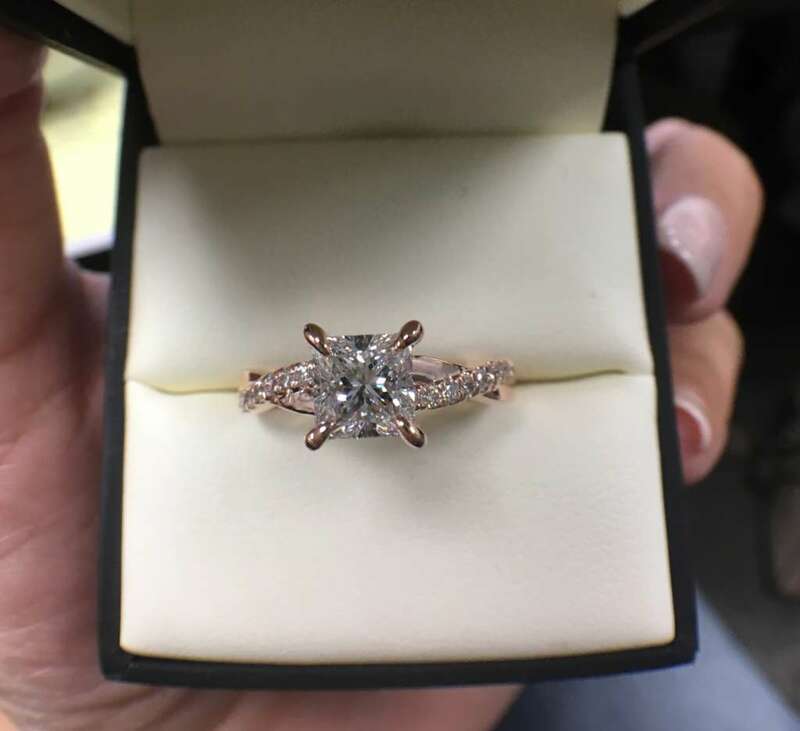 White gold is still probably going to be the most popular, but if you’re looking for something a little different, rose gold may be your first choice. They’re not a new trend, and they’re not going anywhere. 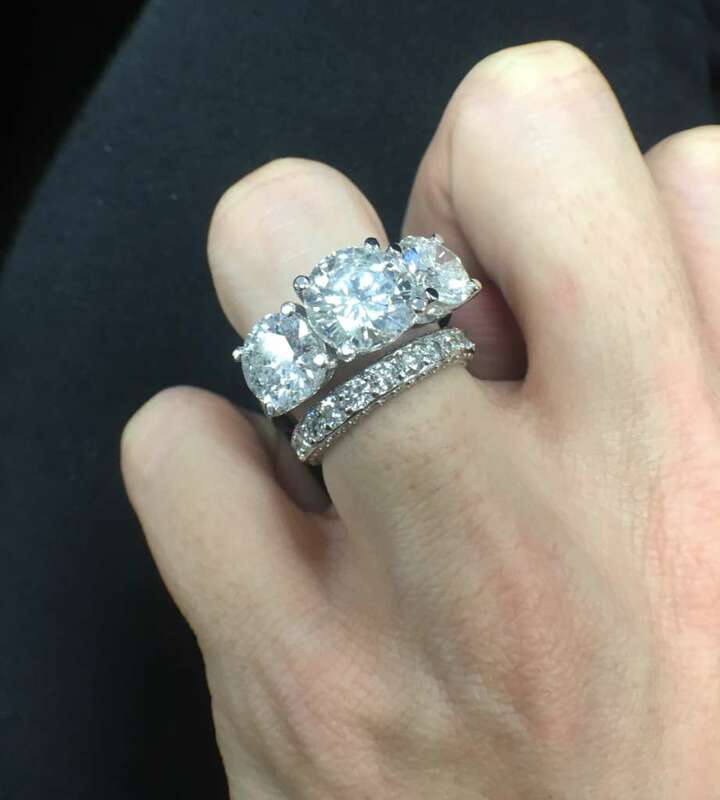 People still want to add some extra sparkle around their center stones with halos. 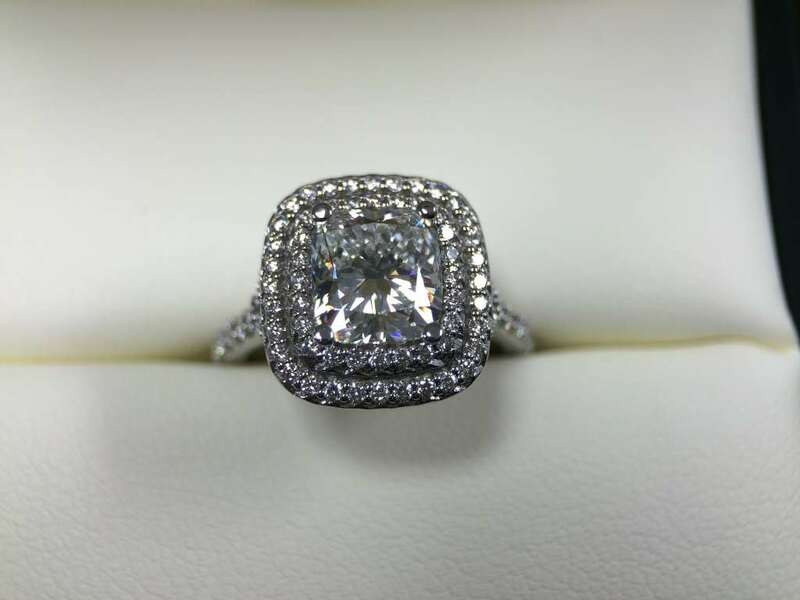 We are seeing a larger preference for more subtle halos with smaller stones. 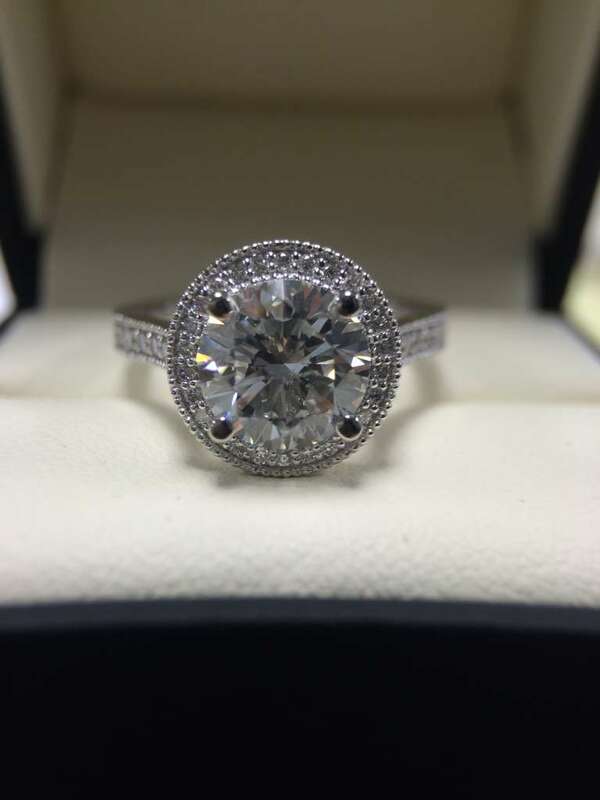 But no matter what your style, a halo is still on trend. 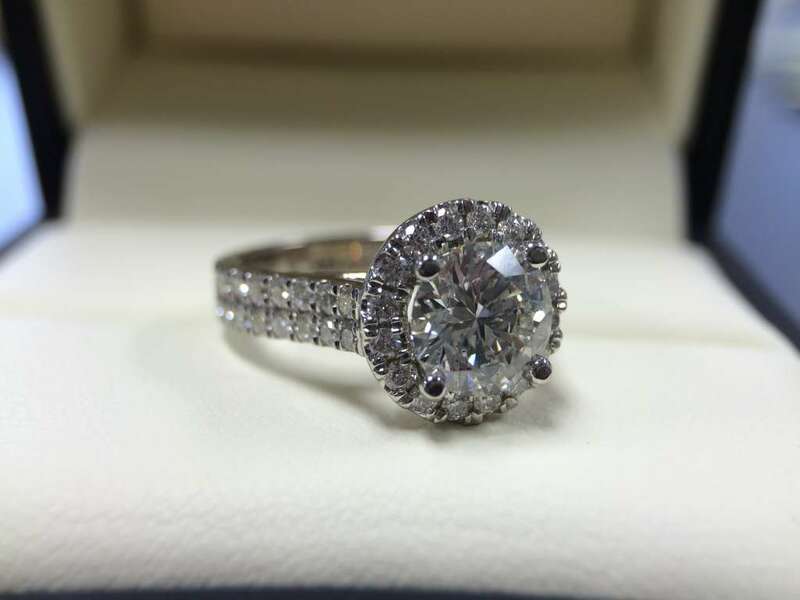 Oval diamonds are popular because, side by side, they have a bigger look than round diamonds. They also slim, and elongate, your finger. Oval is definitely on the rise in 2018. 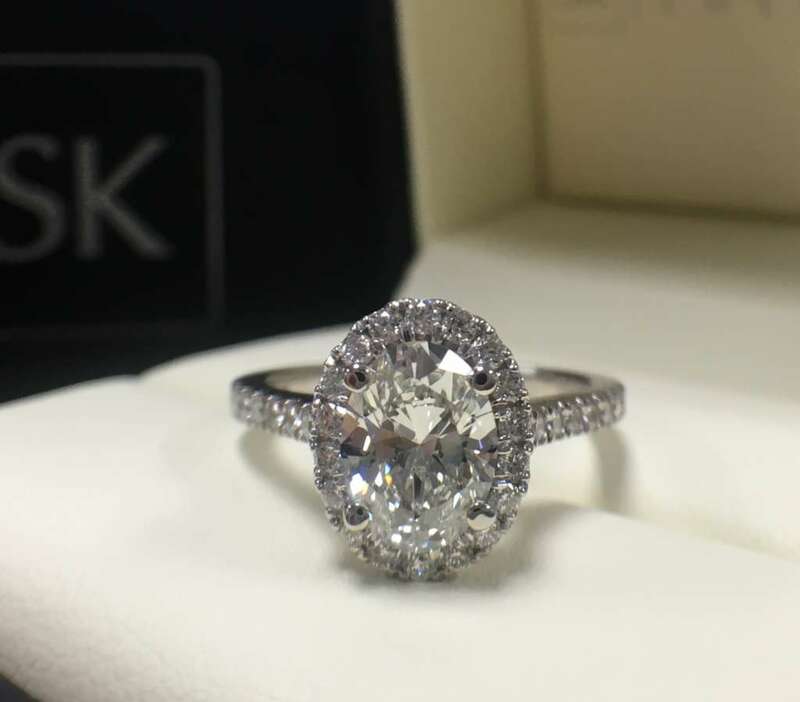 Another longer diamond shape that is rumoured to be trending this year – the pear-shaped diamond – but we haven’t seen a strong preference for this and really don’t see it becoming a major trend, but it is definitely getting more attention this year. 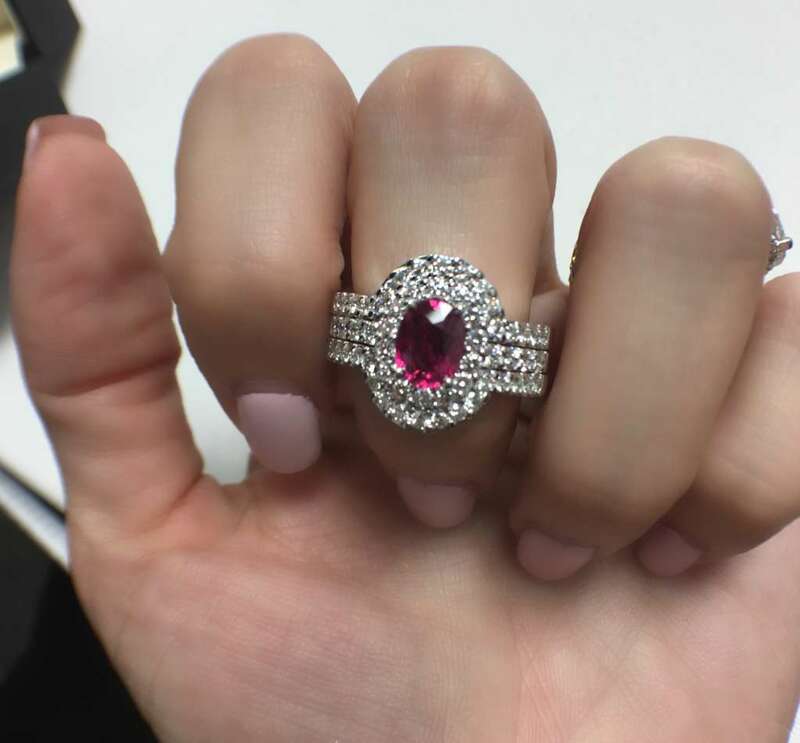 Coloured gemstones are a great way to add something unique and interesting to your engagement ring. 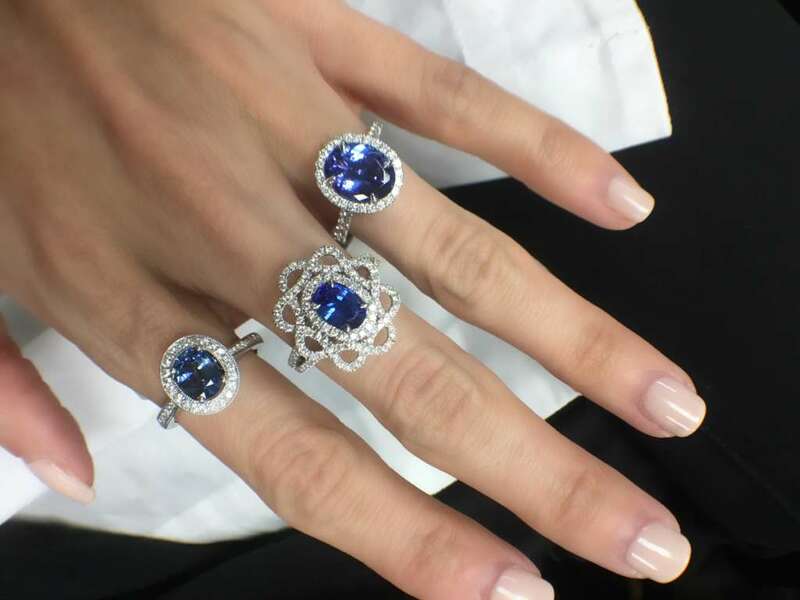 You can go traditional with emeralds, rubies, or blue sapphires. 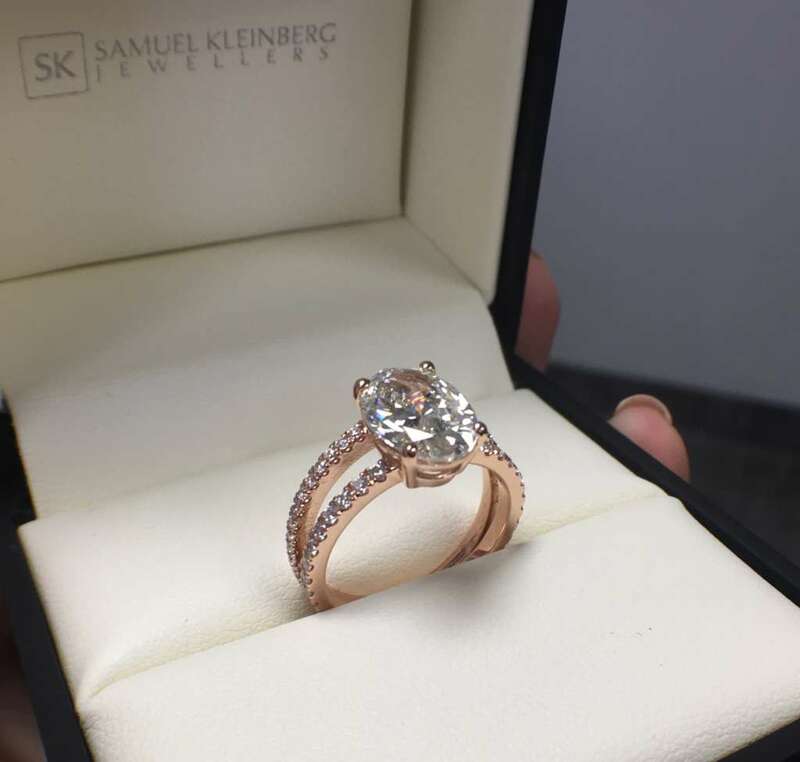 Or, you can be more modern with pink sapphires, or a yellow diamond as your center stone. Expect to see more colour this year. You knew this was coming, right? 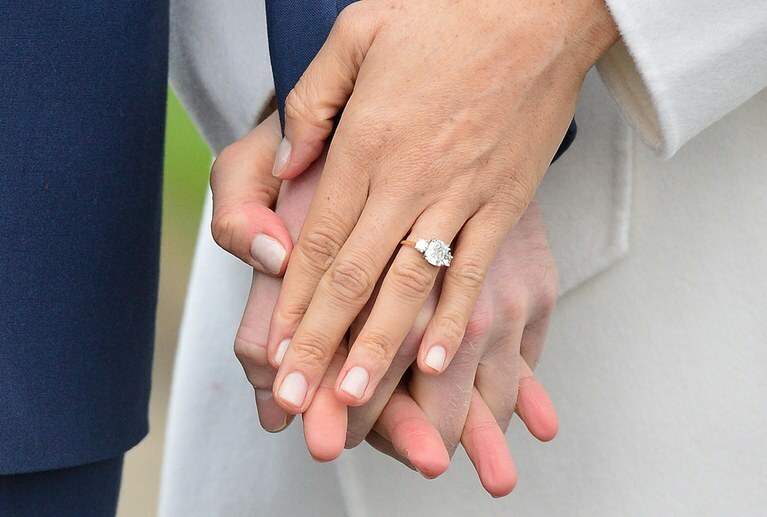 She’s marrying a Prince, so it’s difficult not to admire Meghan Markle’s three-stone ring. This is not a new style, it’s a classic that will always be around. Don’t expect to see as big a rise in yellow gold popularity though.